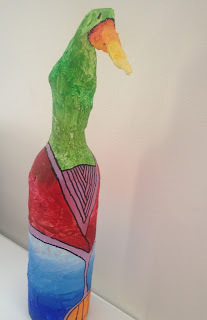 My nieces and I had a fun art weekend. 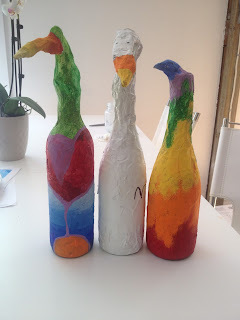 One of the many art projects we did involved some wine bottles ... my sister and I had to do what we had to, to give the kids the tools that they needed, lol!!! Can't wait to do a whole bunch more with the Peanut!